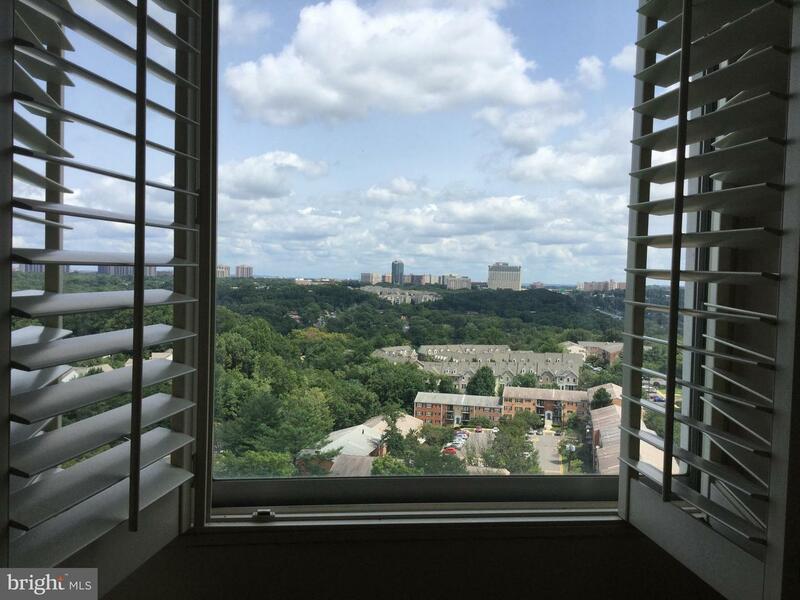 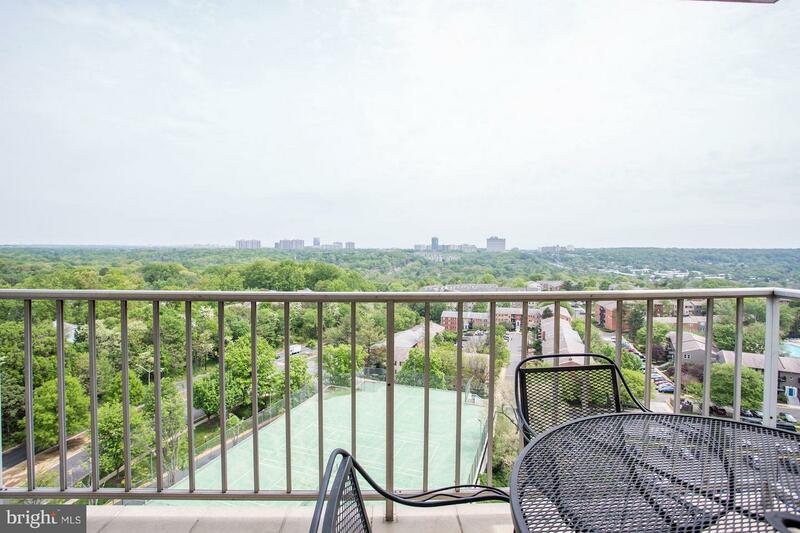 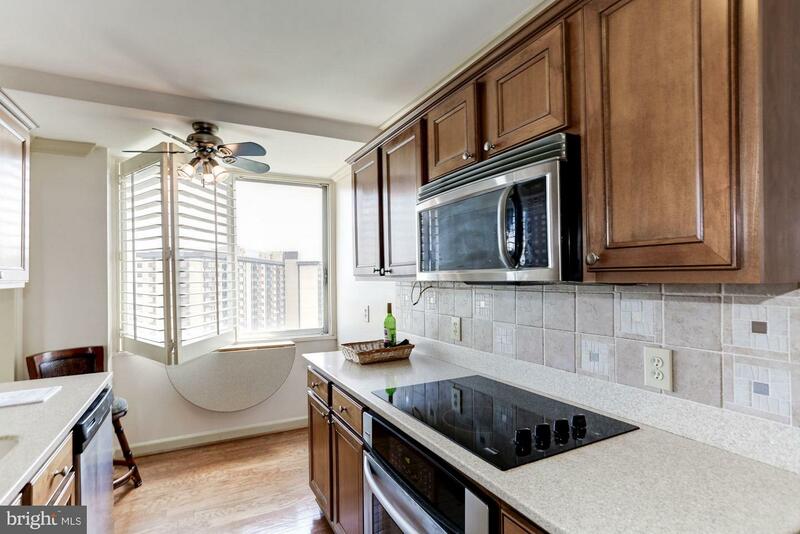 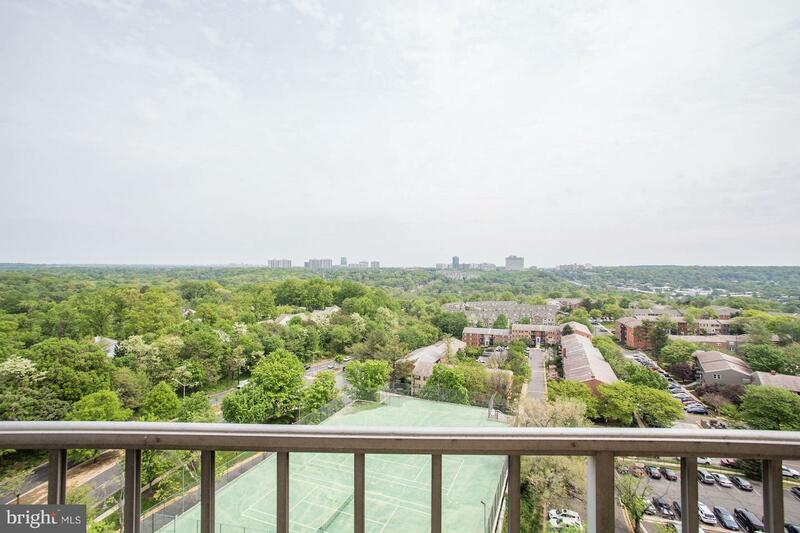 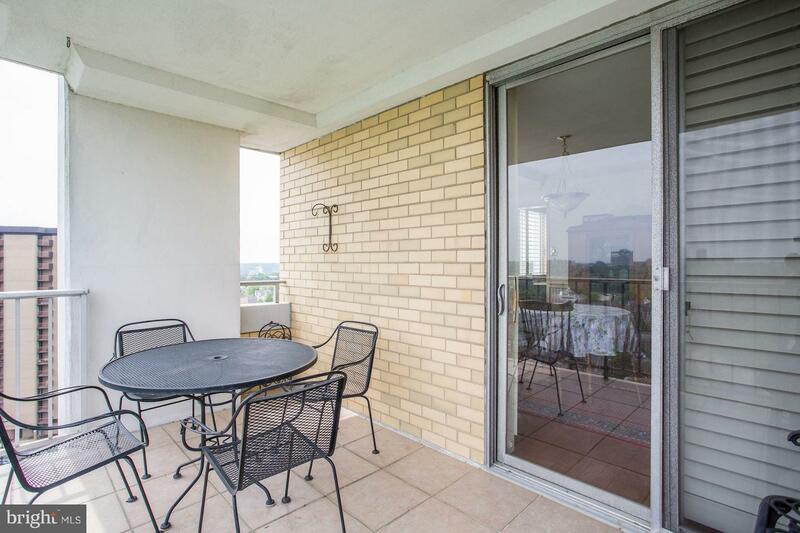 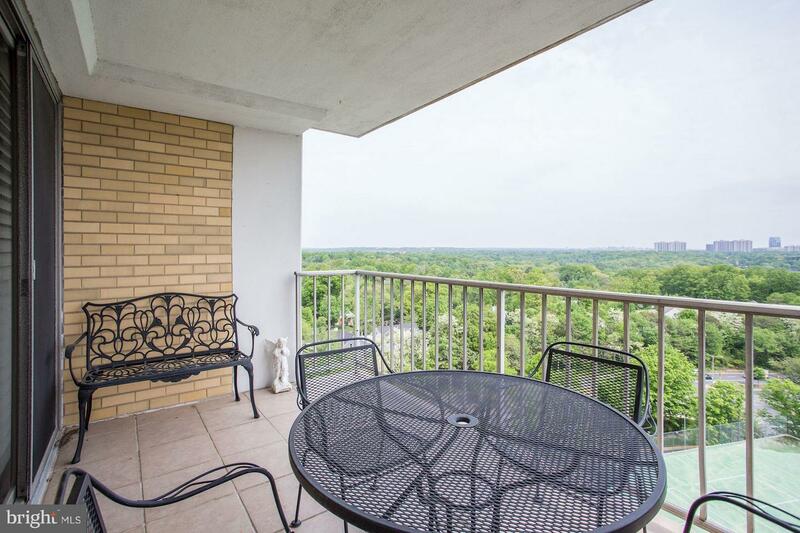 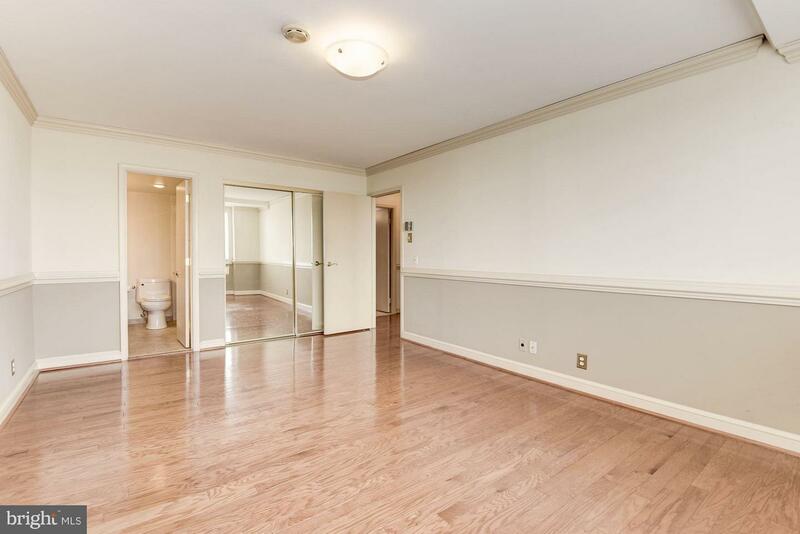 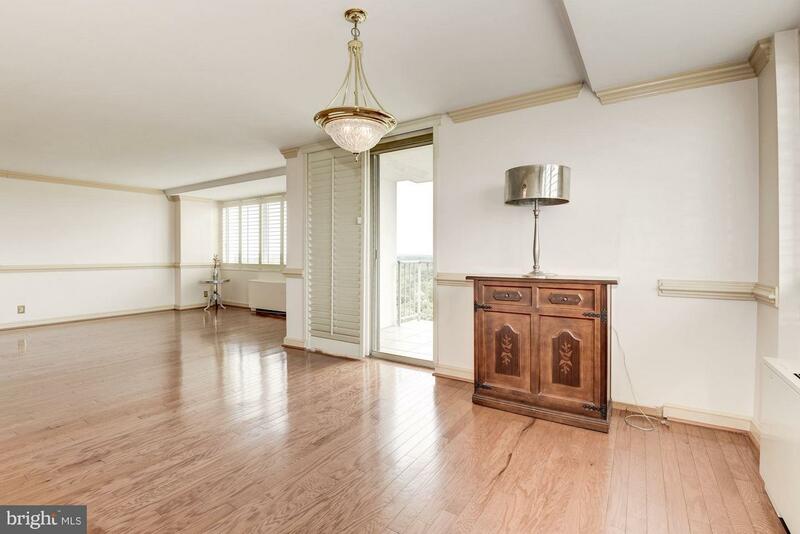 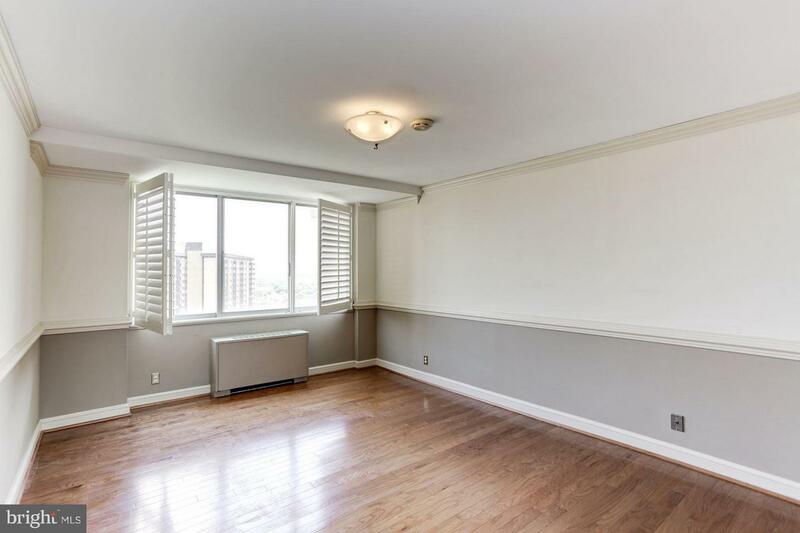 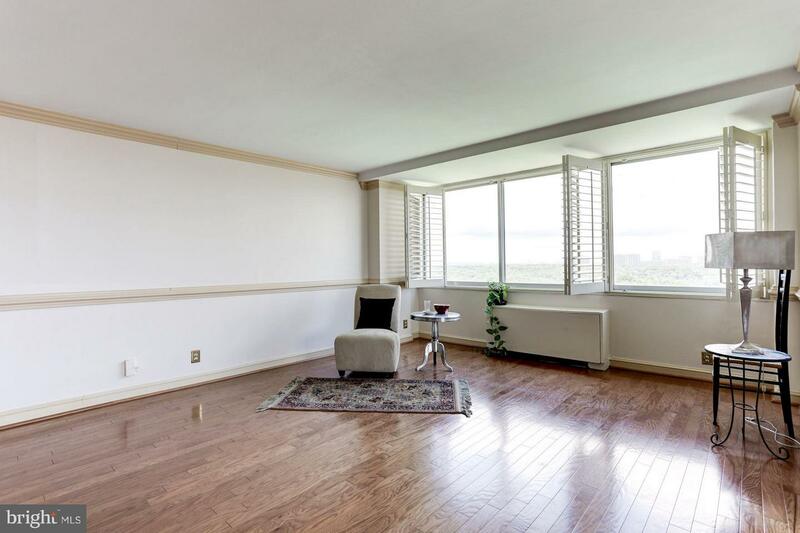 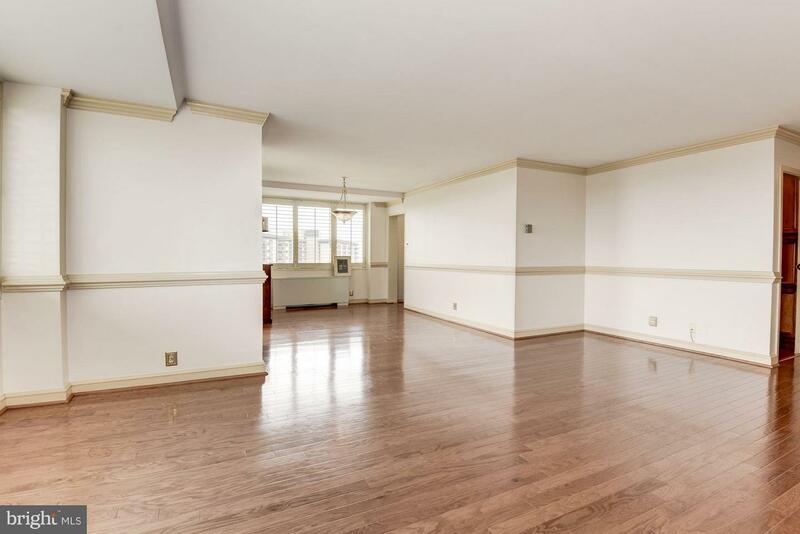 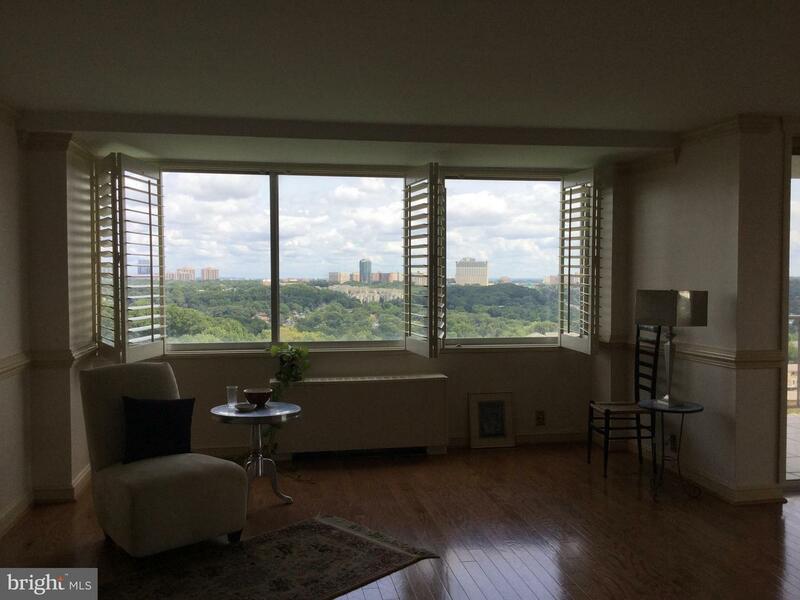 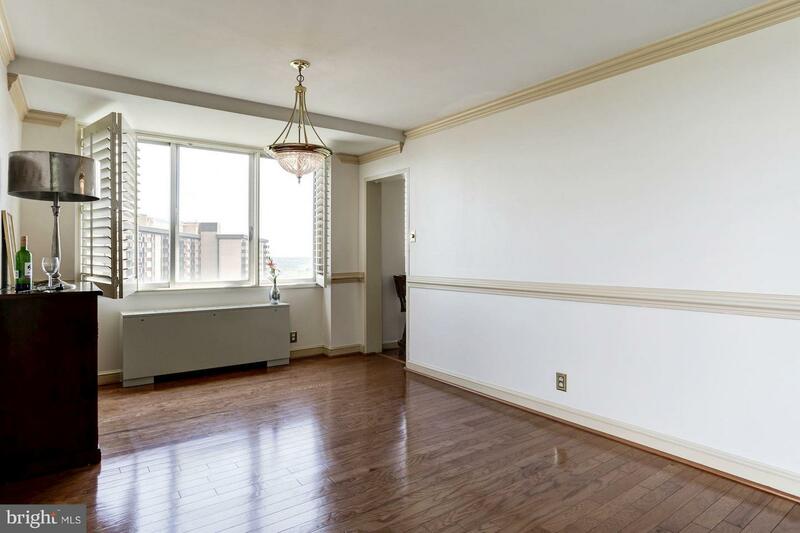 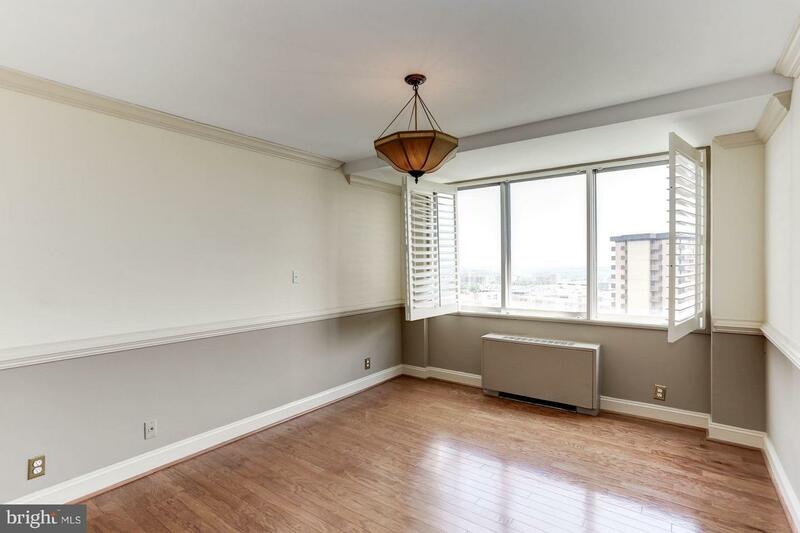 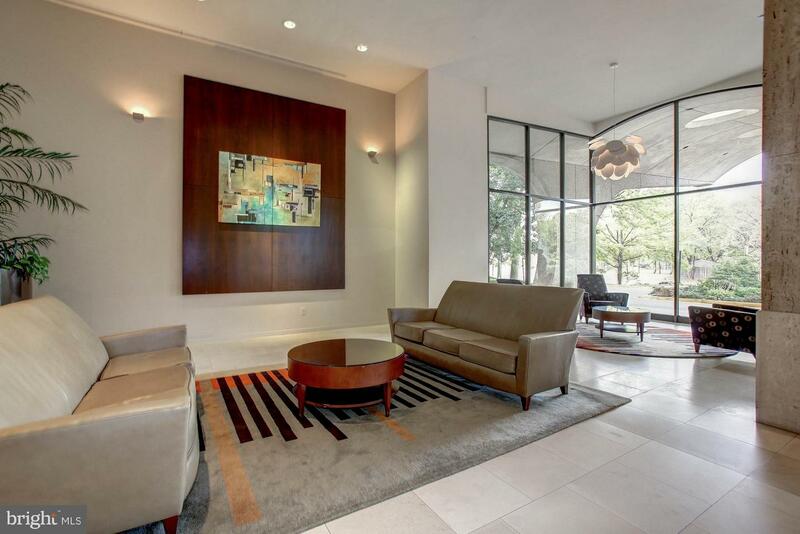 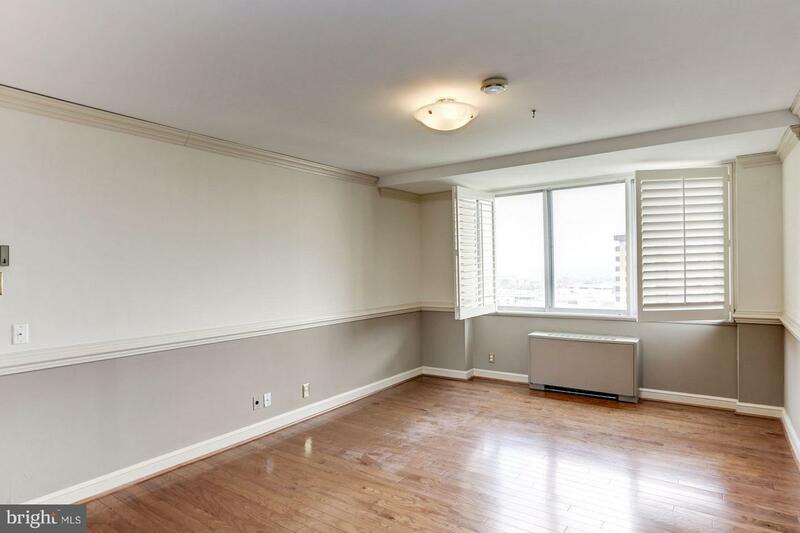 Gorgeous corner unit w/ expansive views. 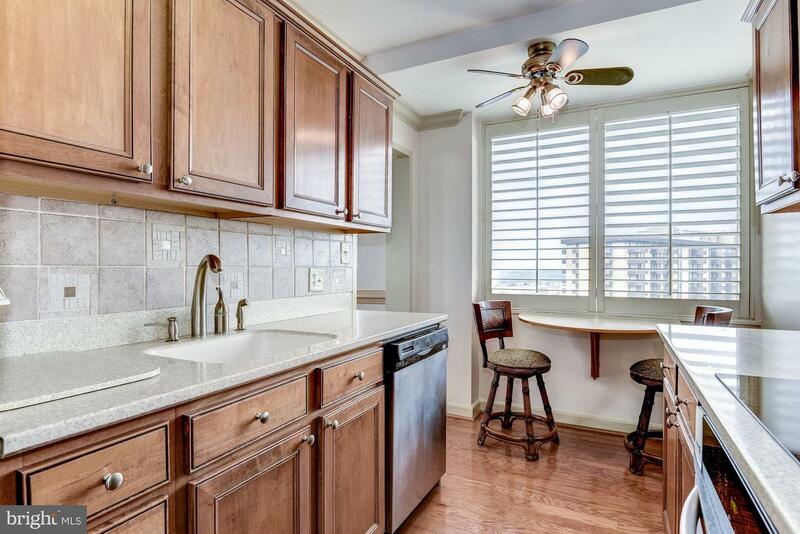 Updated kitchen & bathrooms with Silestone/Granite counters. 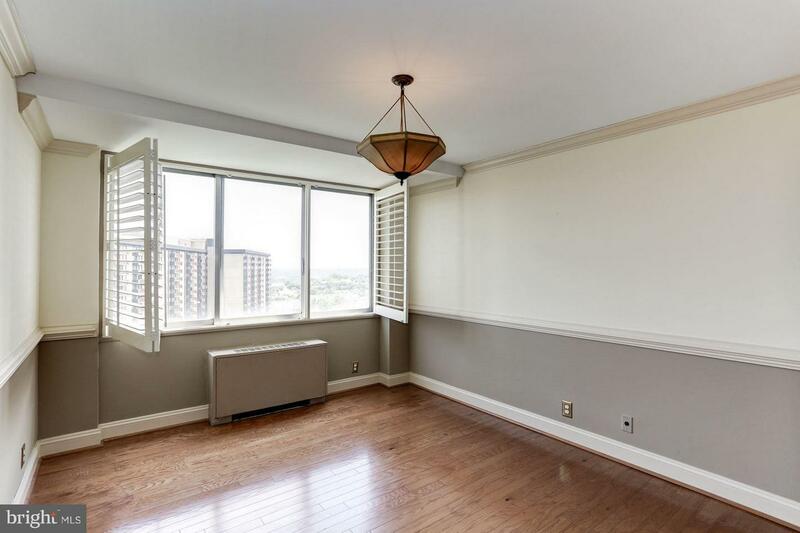 Stunning hardwoods throughout, plus custom plantation shutters. 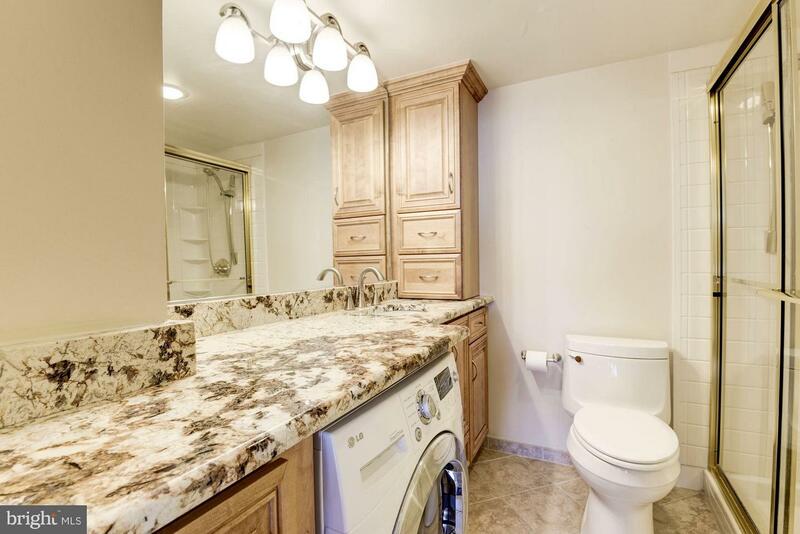 In-unit washer-dryer & large walk-in master shower. 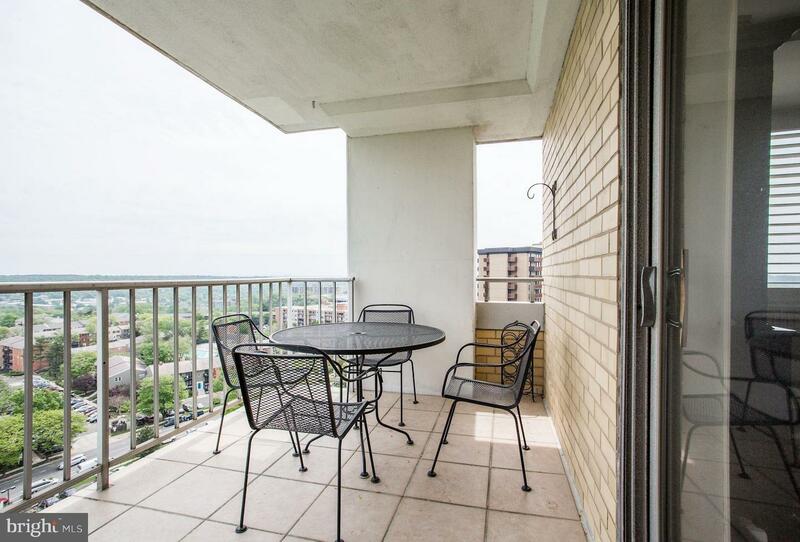 Entertain on the large balcony. 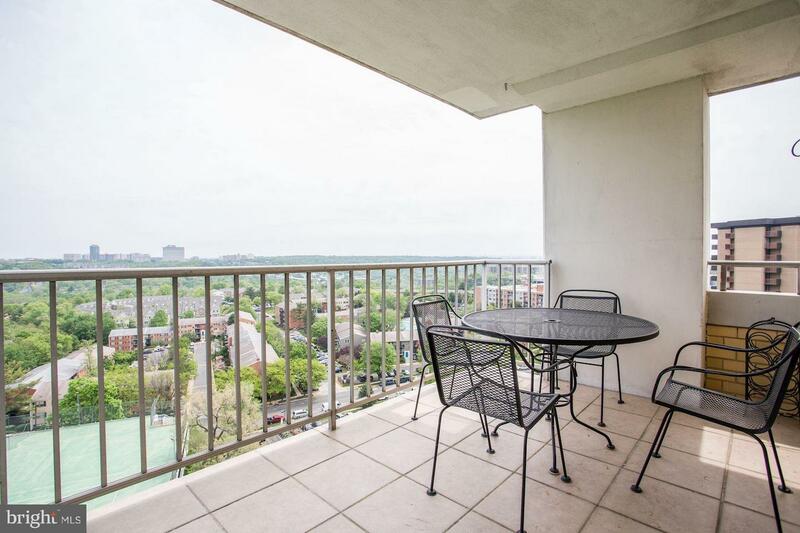  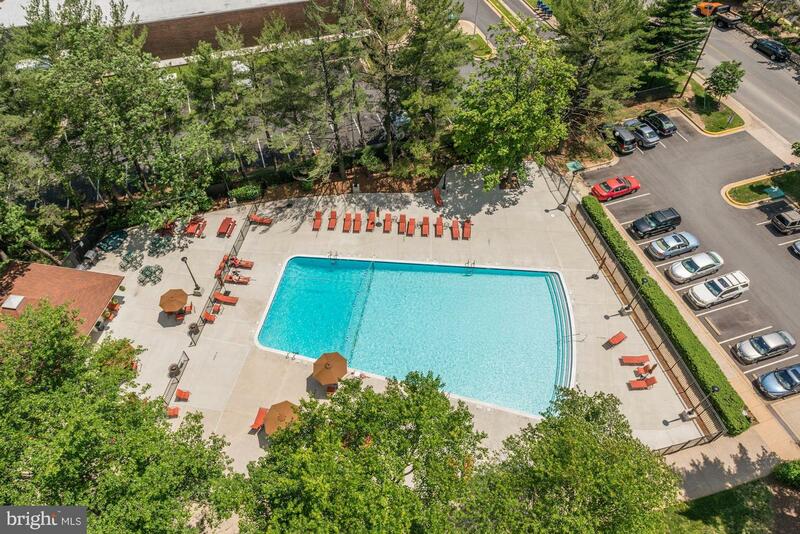 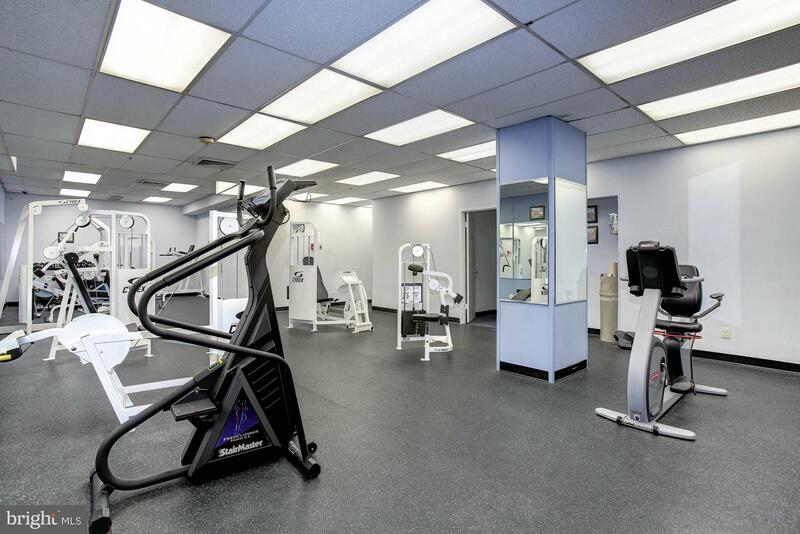 Unit includes all utilities, extra storage and garage parking minutes to Mark Ctr & DC. 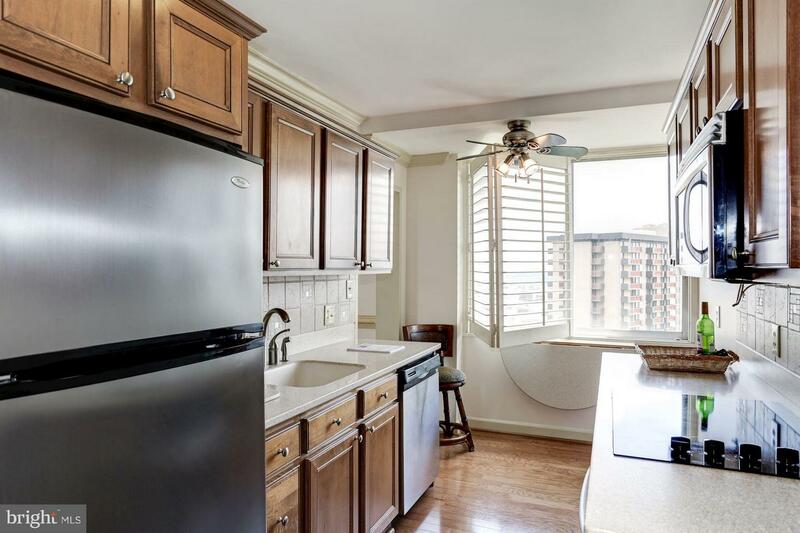 Shops and restaurants right around the corner. 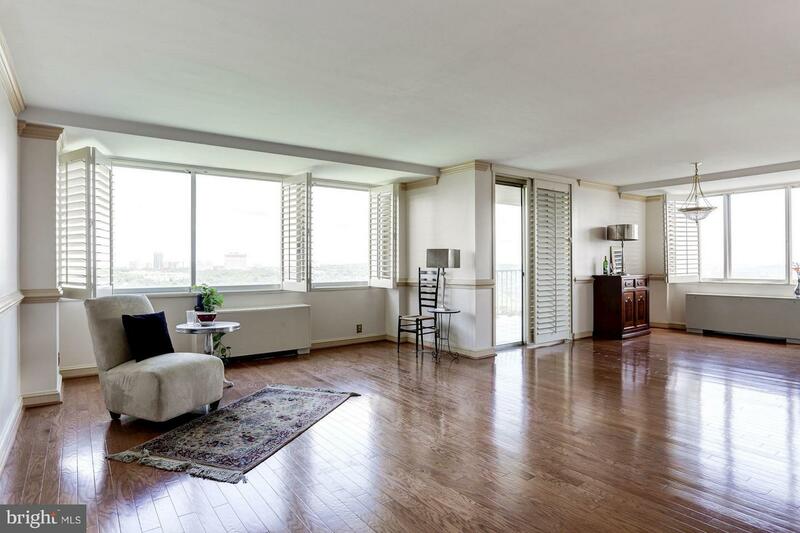  Wonderful opportunity to own 7 miles from Crystal City, National Landing/Amazon HQ2. 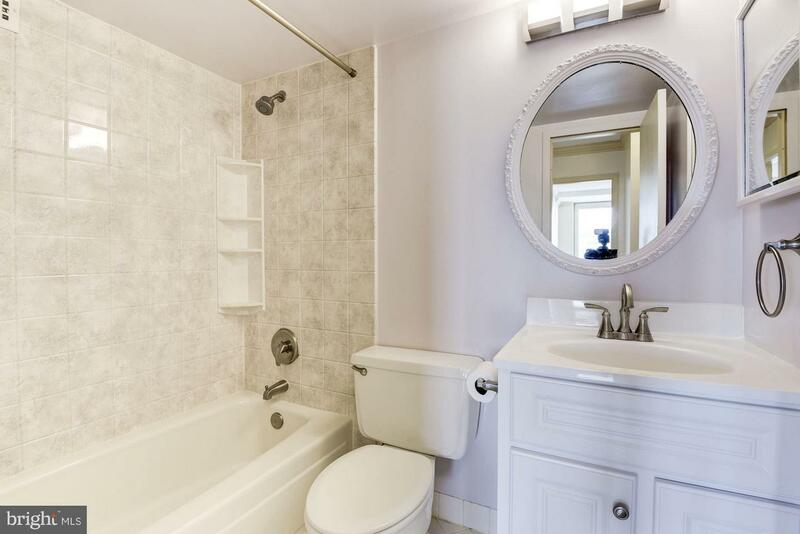 Listed by Michelle Gordon of Long & Foster Real Estate, Inc.